Easy connection between Copenhagan and Malmo – takes about 30 minutes. Just a few minutes more to Lund. 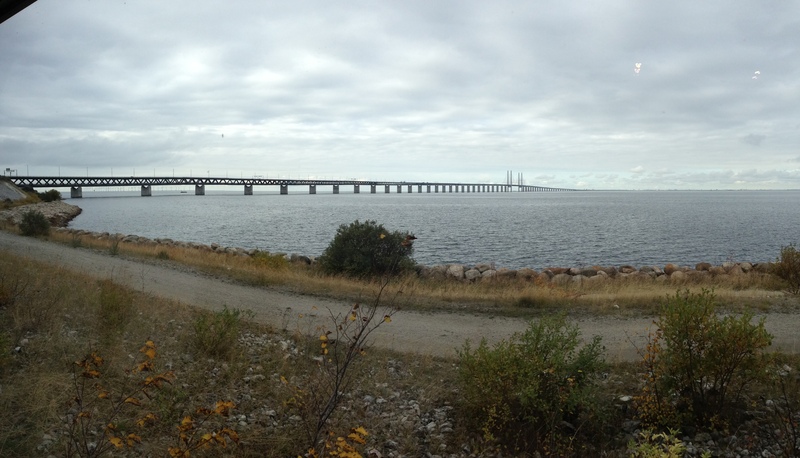 This entry was posted in Great Trips Tips and tagged Bridge, Copenhagen, Denmark, Lind, Malmo, Sweden by hankinsonholmes. Bookmark the permalink.